The next few weeks promises to be a confusing time on Messy Wands. Fall collections are in (yay!) but the weather and I are remaining resolutely summery, so do expect vacillating coverage between both seasons. In my sneak peek to Chanel Fall, I described Rouge Allure Extrait de Gloss 68 Troublant as My Lips in Fall and my personal must have. Now that I've had time to play with it for a few days, I still agree, though I wish the microshimmer we see in the swatch is more prominent on the lips. Troublant is a very grown-up gloss in that I feel like my mother wouldn't be opposed to wearing it, and I say this in the best possible way. The color is a plum rose (I guess it's not as brown as I previously thought) and such an easy shade to pair with fall makeup. 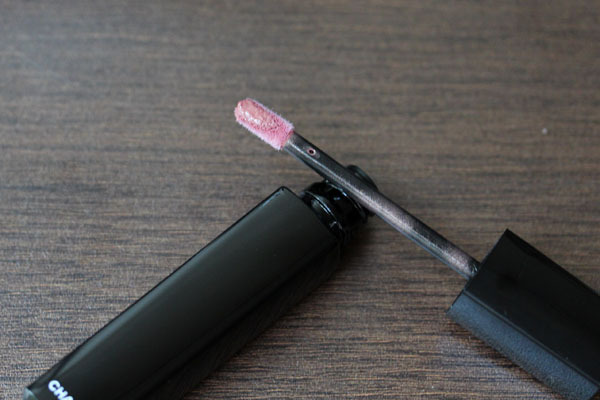 The only deterrent I can think of is that it's just slightly sticky (and when I say that I compare it to LMdB lip stuff, not say, MAC Lipglasses), but it makes the gloss last on and on – I took a nap with it on the first day and when I woke up it's still there. That said, if you're limited to only one thing from Chanel's fall collection, I do think Troublant should be it. Chanel Rouge Allure Extrait de Gloss 68 Troublant retails for $32 and should be available at all counters. I purchased mine from Chanel.com. Thanks so much for the review, great photos, and especially the ingredient list!!! Such a gorgeous shade. Nothing from Chanel's fall collection caught my eye initially, but now I need to get this lip gloss. SMILEY CHEEKZ!!! I ADORE YOU! This looks lovely on you! Pretty lipgloss - and pretty smile! :) I dont think I ever see you smile hee hee! I love seeing how different things look on us! This looks lovely on you! I feel like this is the gloss version of one of my favourite blushes. Ah, is it time for pinky/plummy/browny tones? I'm definitely feeling fall here! 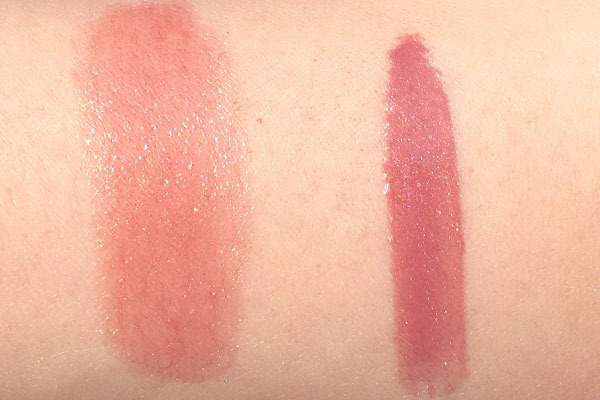 Laci- I haven't tried Caprice, but so far based on swatches I think I don't need it. Let me know if you think otherwise! What are you eyeing from Nordies? Tracy- I ADORE YOU MORE! Lori J- It's definitely a rarity here, but I do that plenty in real life! Christa- :) that's the fun part about makeup I suppose! Oh I shouldn't have read your post! I recently went gloss crazy and bought 6 lip glosses. 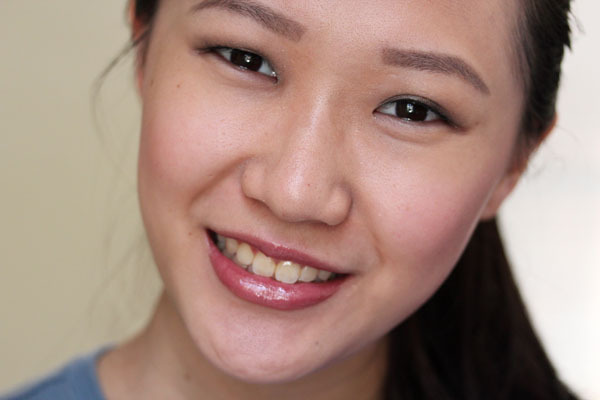 I told myself no more gloss for this year, and then I read your post... oh no... I want troublant! Pretty! I'd love to at least try this on. The weather hasn't been summery here, but I'm still in the summery state of mind so it's hard for me to concentrate on fall collections! So very beautiful! I will be picking this up when it comes out in Australia, definitely. 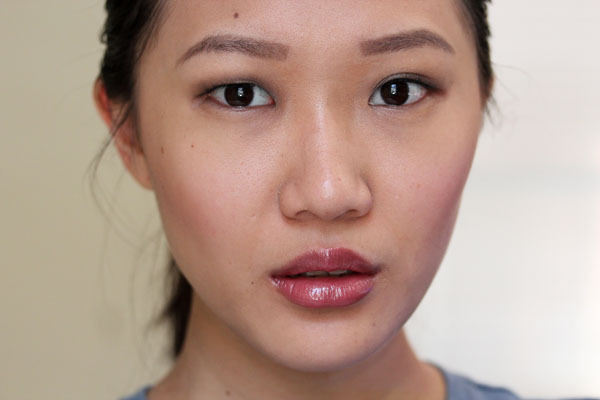 I love the formula of this gloss! I can't wait to try this shade this weekend. It seems like a very universal colour. Gorgeous color! But does anyone know how is this color compared to Chanel aqualumiere gloss #69 glass quartz? They look similar. Thanks!